What do you know about iKentoo? Yes, we are a company offering iPad-based Point of Sale and business management system solutions, but what else? It all started in 2011, when David Clerc, a serial entrepreneur, was exposed to a “traditional” tactile cash register / POS system. One of David’s relatives was a POS reseller, which allowed David Clerc to get acquainted with the different models and more importantly, showed him all of their limitations. The 2011 release of Apple’s iPad 2, much more powerful and full-featured than the original, is what allowed iKentoo to use the iPad for entrepreneurial purposes. Passionate about both the restaurant industry and advanced technology, Clerc wanted to find a way to combine his interests and improve restaurateurs’ work efficiency, while lowering their costs thanks to a new, intuitive and reliable POS system. He created a “proof of concept”, a beta application for the iPad. Realizing the potential of his creation, he decided to develop it further. By chance, he met his childhood friend Serge Sozonoff, who’d also turned into a master, entrepreneur in Verbier, Switzerland. They got into it and together decided to embark on the iKentoo adventure. Their common passion for the food industry, entrepreneurship and desire to find solutions to everyday issues in life, brought them fully commit to this new challenge. And so, at the end of 2011, they founded the iKentoo company in Geneva, Switzerland to commercialize their innovative new POS solution. Since then, the company has been growing rapidly. In 2013, thanks to a first angel investment, the company raised 1.8 million Swiss francs which supported the beginning of an international expansion and developing an even better system. Between 2013 and 2017, iKentoo experienced a 600% growth rate that led to a successful 5 million Swiss franc equity fundraising in June 2017. With over 3000 clients in 25 countries, the company is now the leader in advanced iPad-based Point of Sale and business management systems for the hospitality industry in Europe and South Africa. Today, iKentoo is focused on the future by improving its product range and helping clients embrace a their digital transition to grow their establishments. 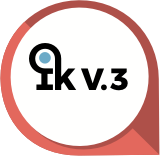 The next big step towards this is the release of iKentoo V3 as of early 2018. And then? We have some exciting developments just over the horizon that we can’t wait to share with you in the next months and years!